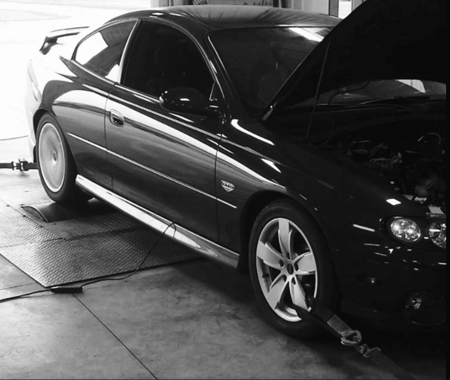 All dyno-tuning is done in-house on our Dynojet 224xlc dynamometer. It is capable of measuring 2000 wheel horse power with our Eddy load absorber. The Eddy load unit is the largest in the industry, capable of bringing an 850hp car to a dead stop at WOT. What does this mean for you? Complete Load Control!!! No matter what the power, what the scenario, we can simulate it under any load! Just like street tuning! All dynos claim to be accurate, but are they repeatable? Others claim to be the "heart-breaker"...but when is the last time you walked into a hardware store and asked for a yard stick, and after receiving it, it was 6" too short?!?! On our dyno, a 12-inch ruler is a 12-inch ruler, your numbers are your numbers, and you deserve them. We cannot manipulate the dyno to make ourselves look good, nor others look bad.  For safety reasons, vehicle and dyno will be opperated by dyno operator only, even when tuning yourself.